The Cecilia Stainless Shower Set is the perfect choice for a bathroom that takes a contemporary yet minimalistic approach to design. It has a streamlined look and appeal, and the wonderful and sleek polished brass finish sure adds a modern twist to the shower set. 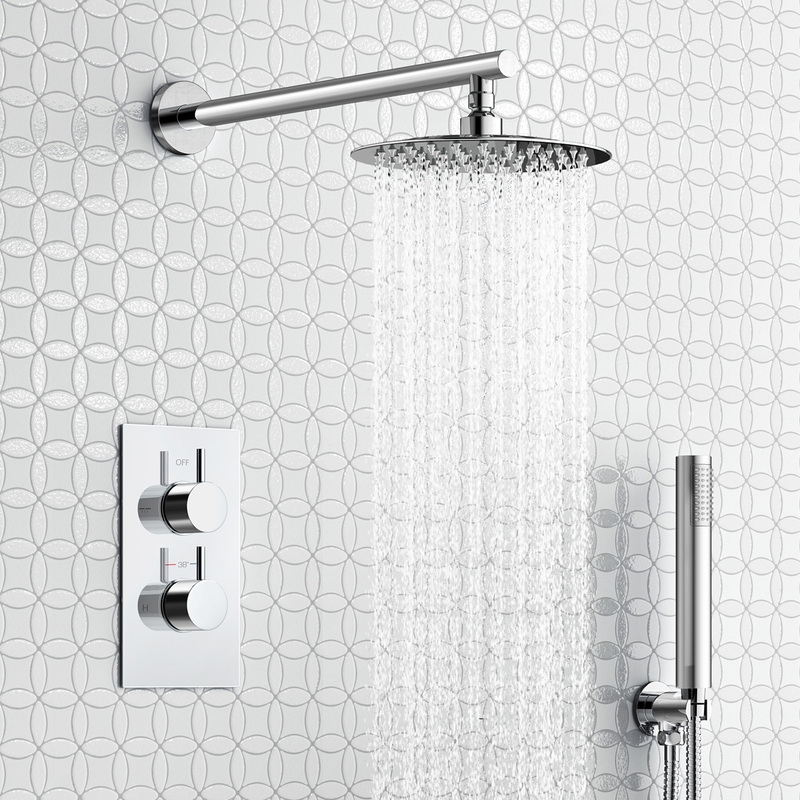 Aside from that, the shower mixer features laser printed dials which do not wear out easily and incorporates the latest ceramic disc technology for optimal performance. 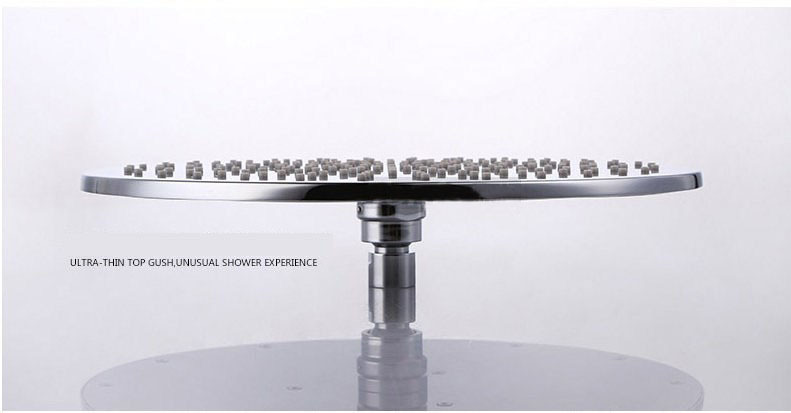 The shower heads come in various sizes and the rubber jets are easy to clean. The handheld shower is just as great, with solid water pressure and well-designed grip for better handling. If you are looking for a shower set that looks great and works great, with the added benefit of easy cleaning and maintenance, then the Cecilia Stainless Shower Set is definitely a great option. The Cecilia Stainless Steel Shower Set arrived on time and was just installed. it is has Perfect amount of pressure and water disbursement will recommend. This Cecilia Stainless Steel Shower Set with concealed mixer is a good product but when it comes to performance, the shower is a bit weak on the water pressure. The reason I bought a new shower set was due to the lack of water pressure in previous one so I had hoped for better. It’s great in every way, from settings to functions to solid construction. The rubber jets are also perfect. Just a little too pricey even with these commendable features. I think price should be less. Other than it is awesome. I think this shower set's quite expensive. It's good and work well, I have no complain about that, but I still think I overpaid for this one. Then again, if we'll be able to use this for a very long time, then I guess it's worth it.